Welcome to Fleet Street Bloodworks — the most unique theatrical blood on the market. Made from FDA approved pigments, Fleet Street Drying Blood stay moist looking, even when dry. Designed for use on both skin and hair, they stay where they’re placed, without migrating or dissipating as the day wears on. Dark: a deep moody blood tone that intermix to create your desired look. 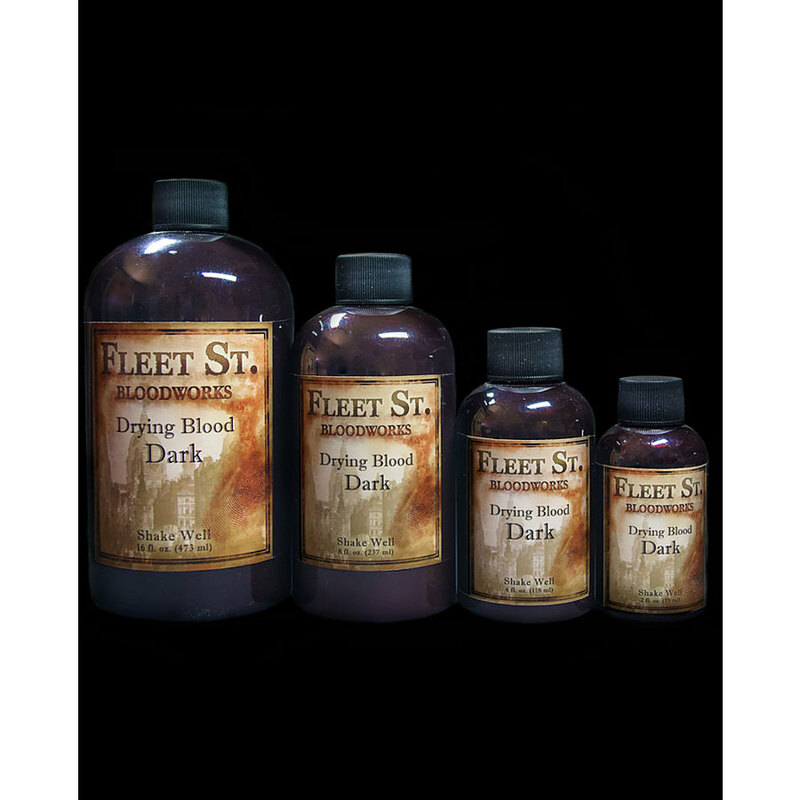 Use them with the Fleet Street Blood Pastes to add depth and texture to your blood work. Fleet Street Drying Bloods allow the makeup artist to layer the bloods to get a deep sense of colour and realism. Drying Bloods are smudge proof but remove easily with soap and water, or even easier with Fleet Street Plasma Soap.